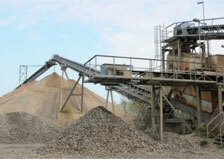 We do dirt work, aggregate production and hotmix! Call us at 806.273.7501 for a quote. Our long range objective is the continuous development of our business - through which customers, employees and company will benefit. We work continuously for the benefit of our present and prospective customers while maintaining our high standards of quality, productivity and safety.